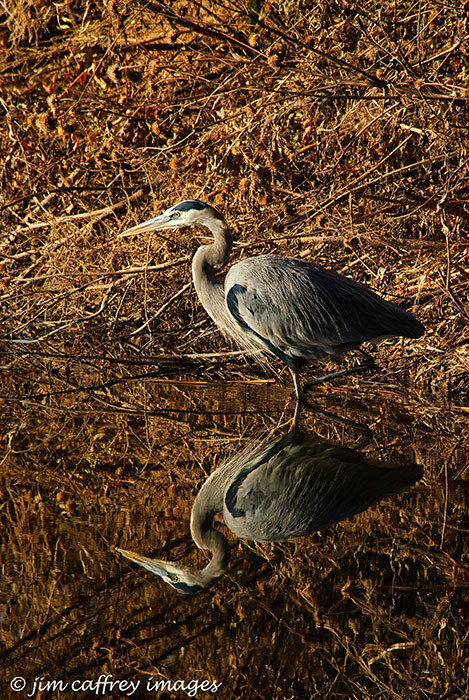 Herons are solitary birds. 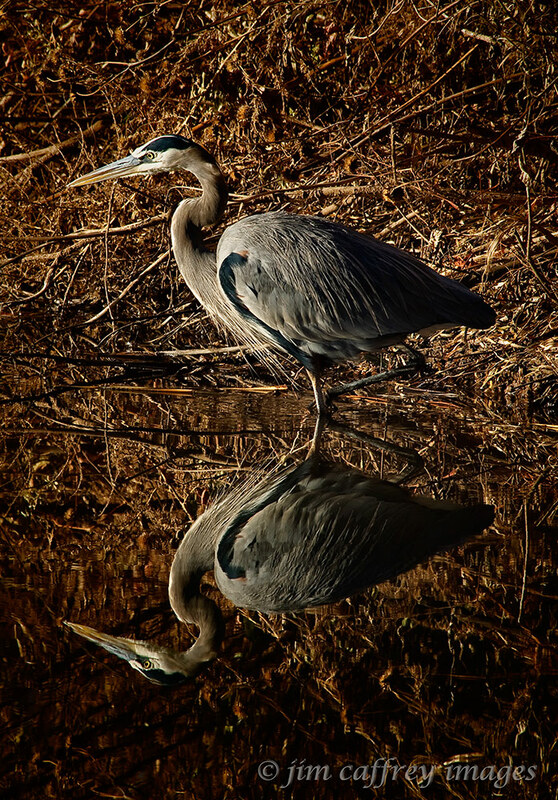 Unlike cranes that go about their business in large flocks, herons are found on the edge of things: walking slowly and quietly along a canal, drainage ditch or river, hunting for their dinner. 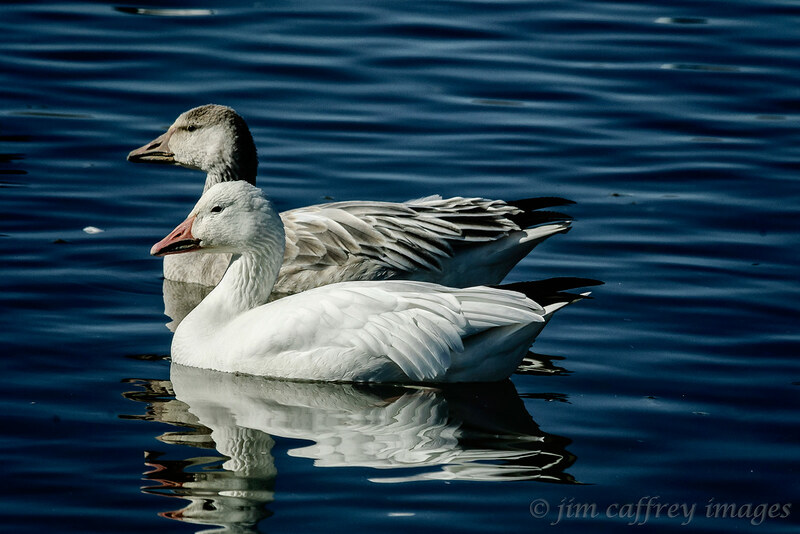 Although they are monogamous, they are rarely seen out together in public. 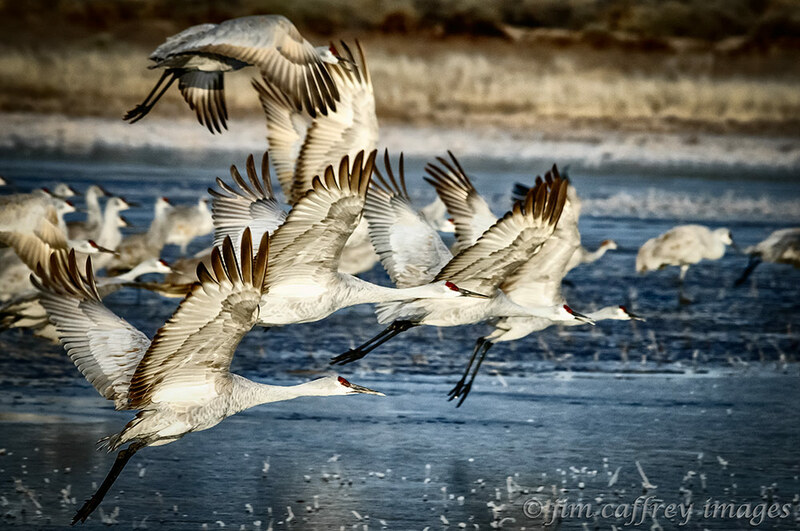 When I make my annual pilgrimage to Bosque del Apache National Wildlife Refuge, the skies and the ponds are filled with raucous, gangly, yet somehow graceful cranes–thousands of them. The typical heron count is three or four. 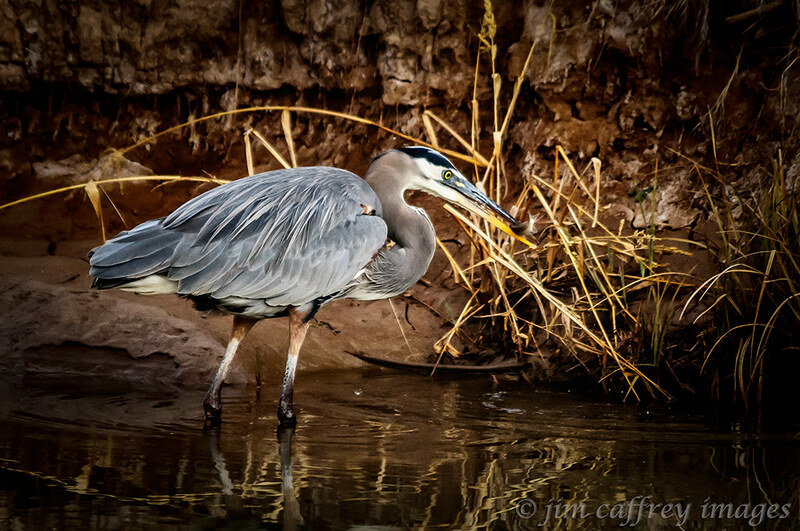 So, I spend a fair amount of time cruising slowly along the drainage canals looking for these elusive birds. Sometimes, when I’m patient, I’m rewarded with a capture like the one above. I had followed this guy (girl?) for close to half an hour, moving when he moved, but giving him plenty of room. When I saw him extend his neck, I fired a continuous burst of about five exposures and this is the result. There are other times when patience has nothing to do with it. 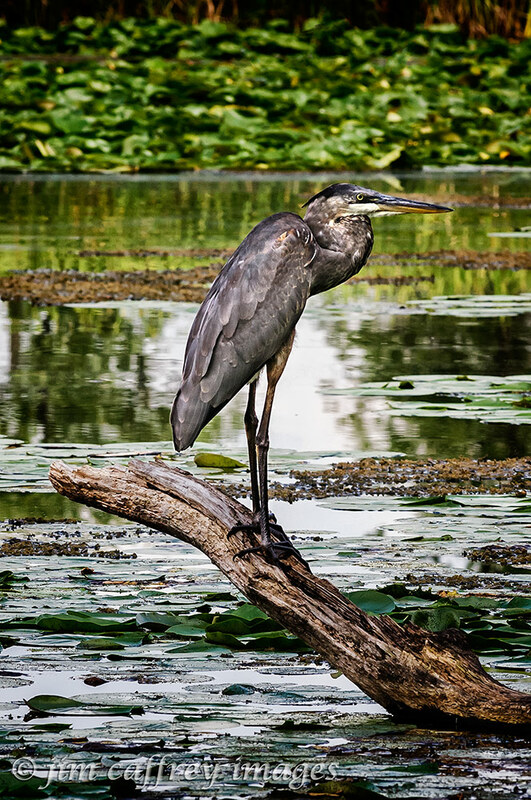 Robin and I came across this heron standing along the edge of a canal on the south side of the Flight Deck Pond. We were easily within twenty-five yards of him and he acted like we weren’t even there. Every once in a while, he would close his eyes as if napping. After about thirty minutes we had gotten all the exposures we wanted and drove off leaving him standing there. I made this last image while my daughter Lauren and I were walking her dog at a dog park in Madison, Wisconsin. Luckily, I was a little ahead of them and had time to warn her off. Otherwise, her dog would have been after the bird and this capture would have been lost. When I go on a photo expedition or lead a tour, I take two cameras and all the lenses I could possibly need, all packed into my Lowepro AW 300 Trekker backpack with my tripod strapped to the outside. It’s a load and can sometimes become a bit much after trekking through the desert all day. But, I do it because I know I’ll have whatever I need to capture the images that I see. 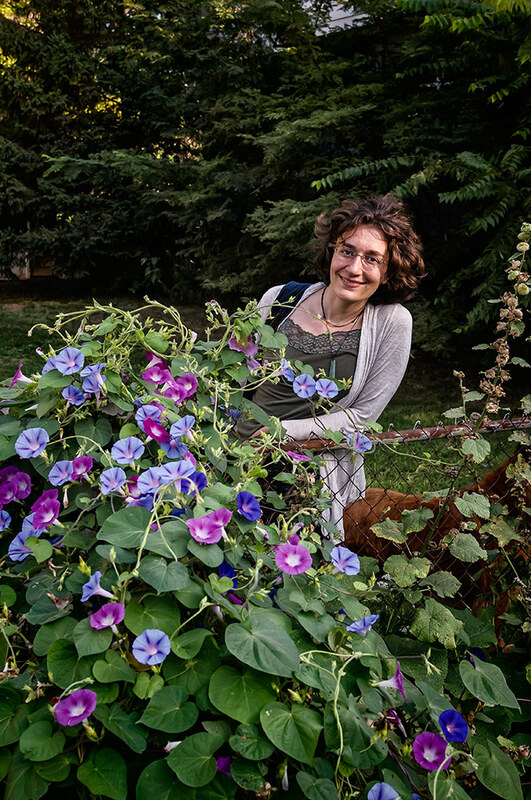 Recently, I flew to Madison, Wisconsin to visit my lovely daughter Lauren. The baggage and carry-on restrictions prevented me from bringing along all of my gear, so I made the trip with one camera, two lenses, and a flash packed into a shoulder bag. As a result, I was forced to look at my photography in a whole new way, and I am quite pleased with the images I brought home. I made this portrait of Lauren on one of our early morning dog walks. If you knew Lauren as I do, you would also know that this is the perfect setting for a portrait of her. 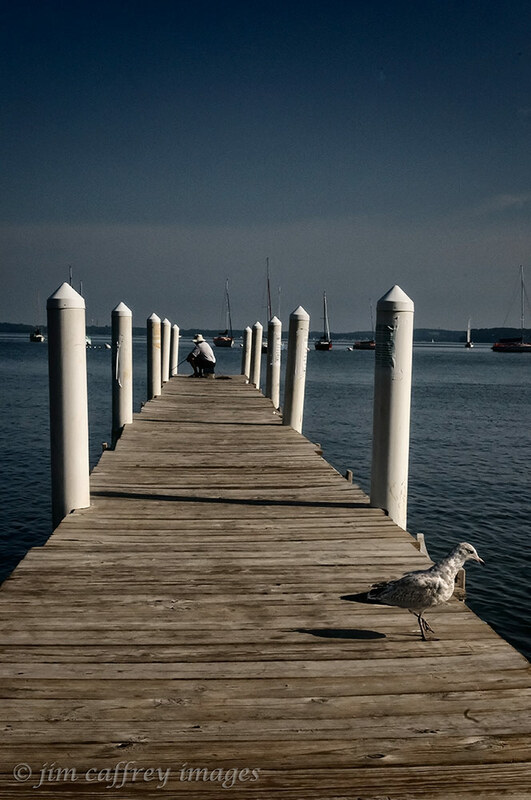 I made this image at Lake Mendota, the bigger of the two lakes which border Madison on the north and south. This gull was walking up and down the pier like a miniature Charley Chaplin. 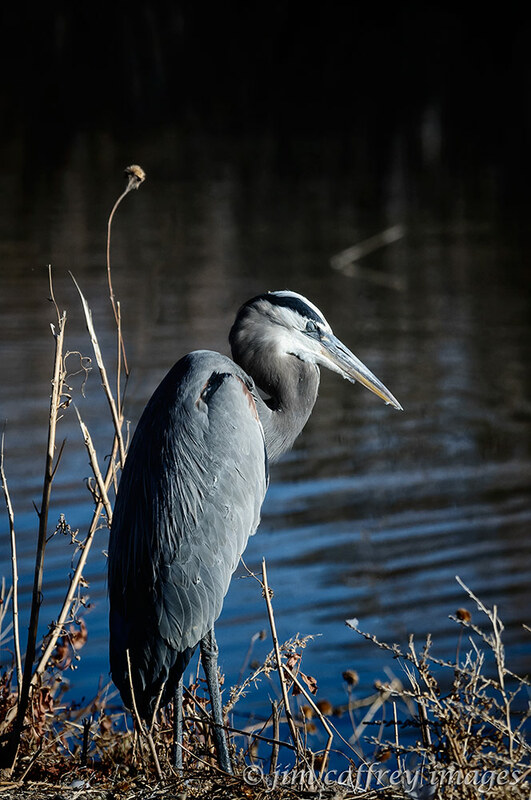 It was pretty comical and I made close to forty exposures of him, but when he stopped and looked over the edge, he provided the perfect counterpoint to the fisherman. Believe it or not, this image was made in one of Madison’s many dog parks. 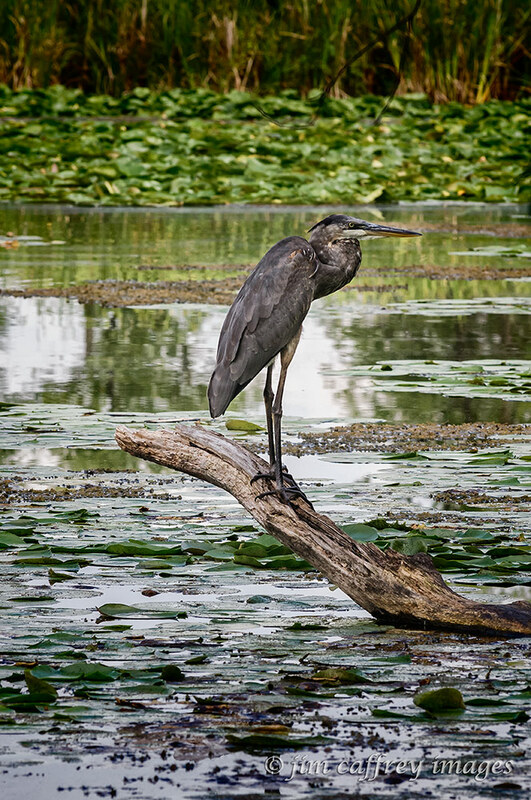 This one has its own wetlands complete with a green heron. Luckily, I spotted the bird before Lauren’s dog did. 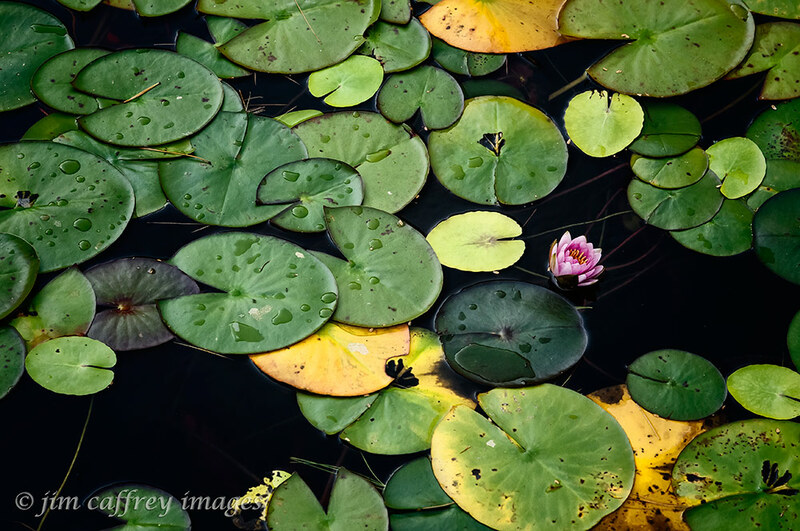 This last image is of a lotus flower and lily pads in the Japanese Garden at House On The Rock in southwestern Wisconsin. House On The Rock is an amazing place and deserves more than just a nod in a photography blog. If you’re ever in that part of the world, I highly recommend the tour. So, aside from spending a wonderful week with one of my favorite people, this trip also forced me to look at my work in a different way. Art, like anything else in life, needs to evolve; otherwise it stagnates and looses its appeal. 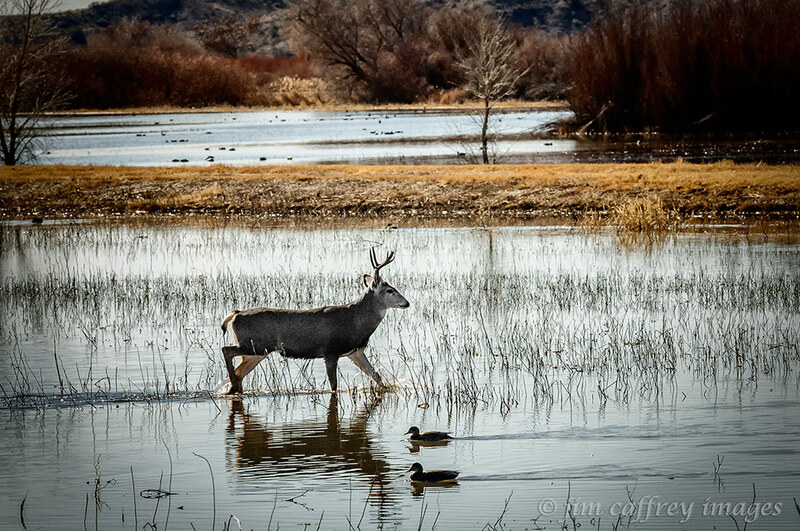 This was the scene at the farm fields at the north end of the Bosque del Apache NWR on Saturday morning. It is fairly typical for this time of year. 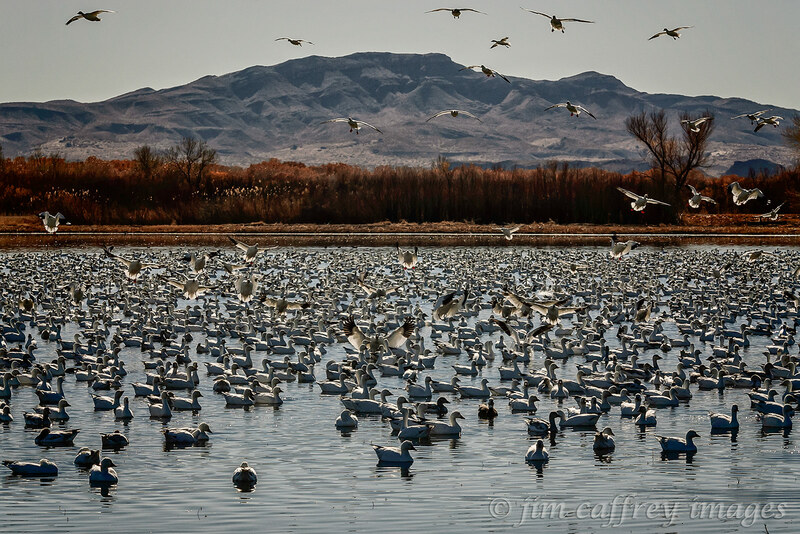 Most of the birds have arrived for their winter stay at the refuge. 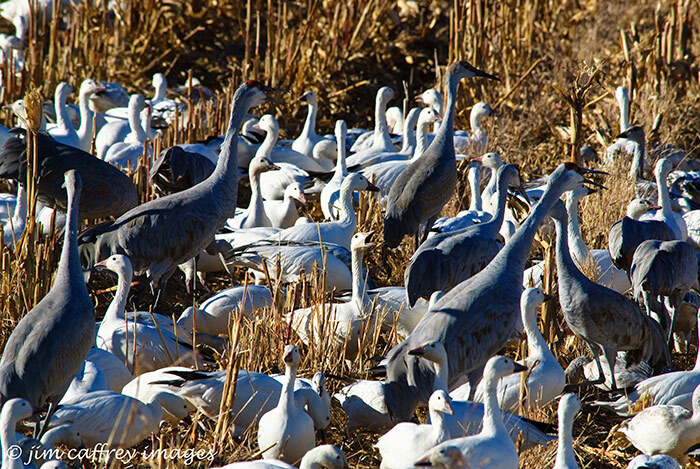 On this particular morning there were 9,527 sandhill cranes, over 40,000 snow and Ross’s geese, 3 bald eagles, and over 300,000 ducks of various species. There were also innumerable LBBs (little brown birds), and an unknown number of deer, coyotes, bear, and other mammals. Oh yeah, and at least one mountain lion (one trail was closed due to recent lion sightings). All in all, a pretty respectable showing. 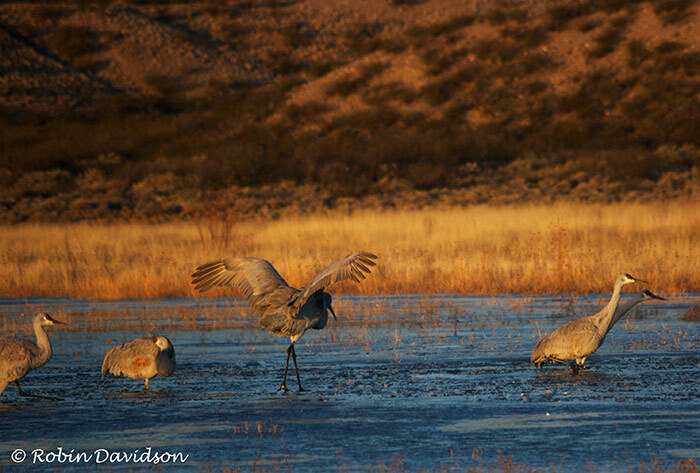 We had arrived the previous evening, and spent a couple hours on the “Flight Deck” watching and photographing the cranes flying back from the fields which surround the refuge to spend the night in the ponds where they are relatively safe from the predators (mostly coyotes) which are numerous in the Bosque. We were up and out the door at 5:30 in order to make it to the reserve for sunrise. 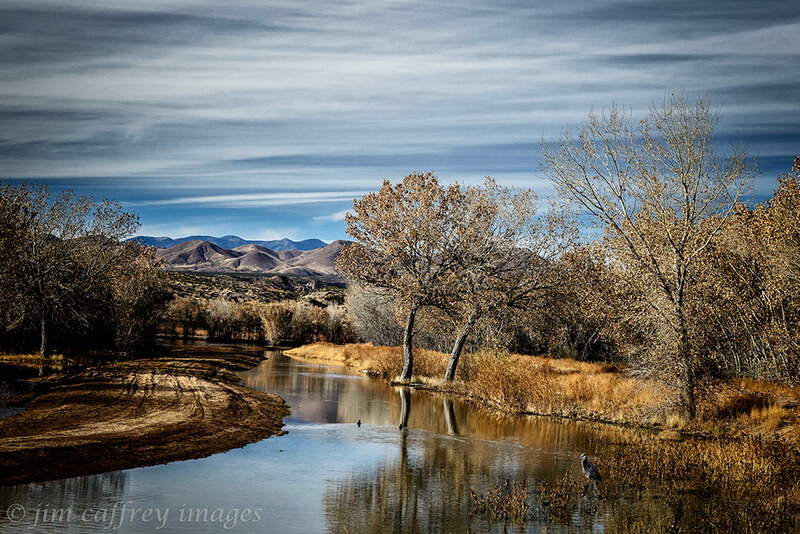 It was cold–around 10°F, but there were at least twenty other photographers gathered at the edge of the Chupadera pond. I set up my tripod, and joined in the fun. 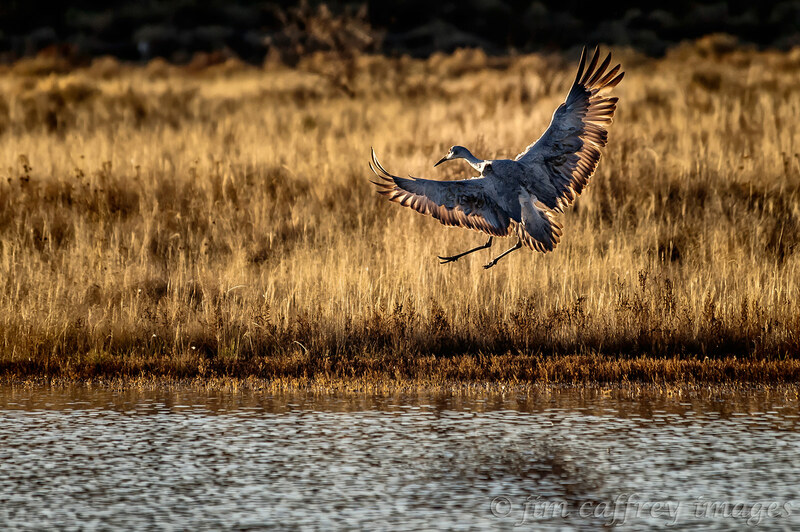 As the sun rose, the cranes began to stir, and the cameras began to whir. I was suddenly reminded of the cold when my camera began to respond sluggishly, then stopped working. The shutter had frozen. 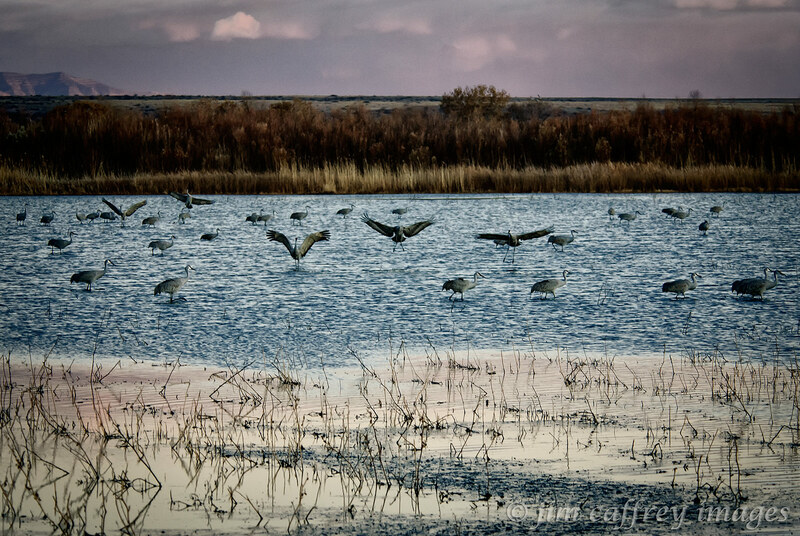 I stood there helplessly while the birds took off and everyone around me continued to shoot. I’m not sure why mine was the only camera to succumb to the frigid temperatures, but I stubbornly tried, and tried again, to get the thing working even though I had another camera in the car not fifty yards away. I’ll have to work on that! So, while I was busy trying to keep my camera working, Robin was next to me happily snapping away. 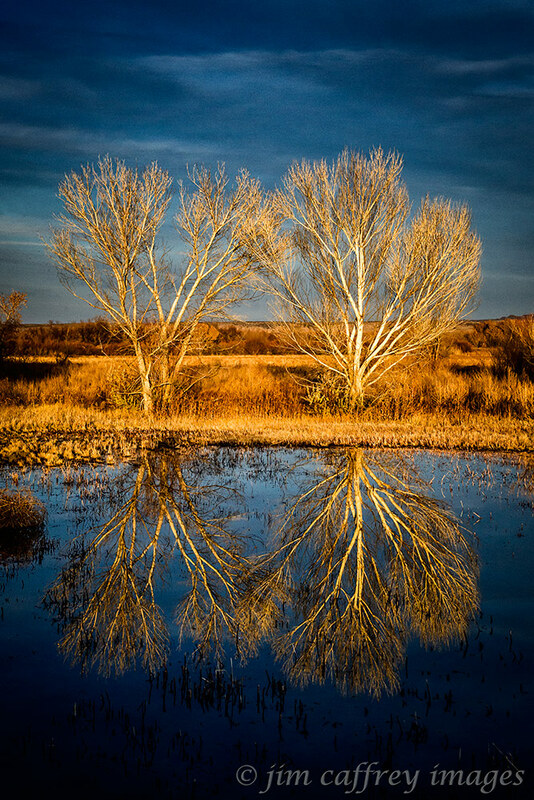 She made this image just as the sun was starting to warm the scene with it’s golden light. 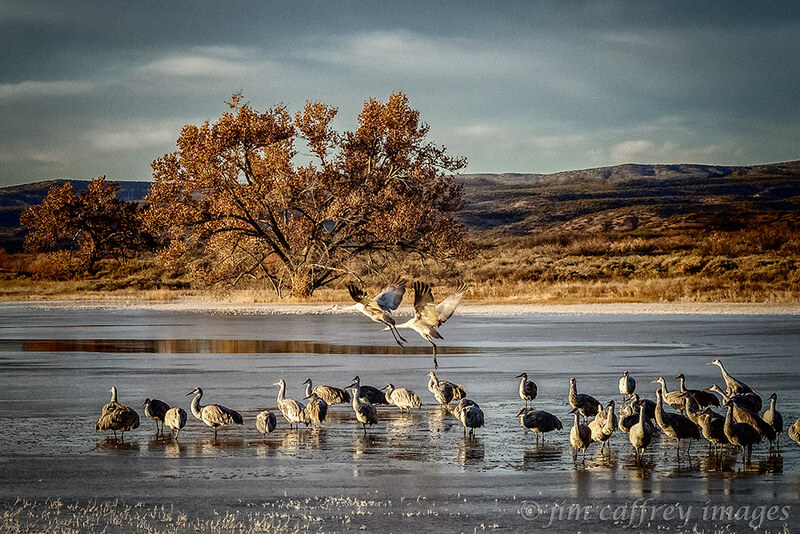 Cranes go through a ritual before taking off. This one was stretching his wings in preparation for his first flight of the day.. The two birds on the right are just beginning the next stage: they face into the wind and stretch their necks, leaning forward. I think what they are doing is testing the wind, getting an idea of how they will get themselves into the air. 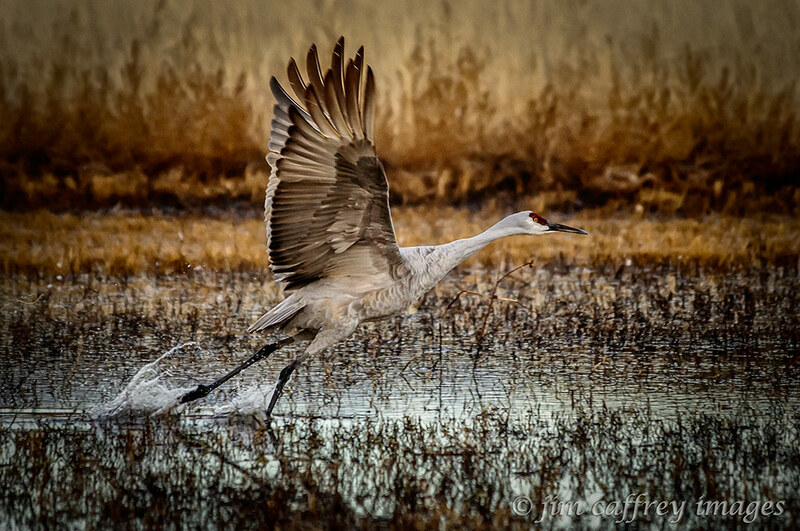 This behavior is a signal to a photographer to be ready because take off is imminent. Well, any photographer with a working camera. Next we headed into the refuge and turned south to drive the marsh loop. I was still toying with my camera and was happy to find that it was working again after thawing out. I had heard horror stories about shutters breaking after being frozen. 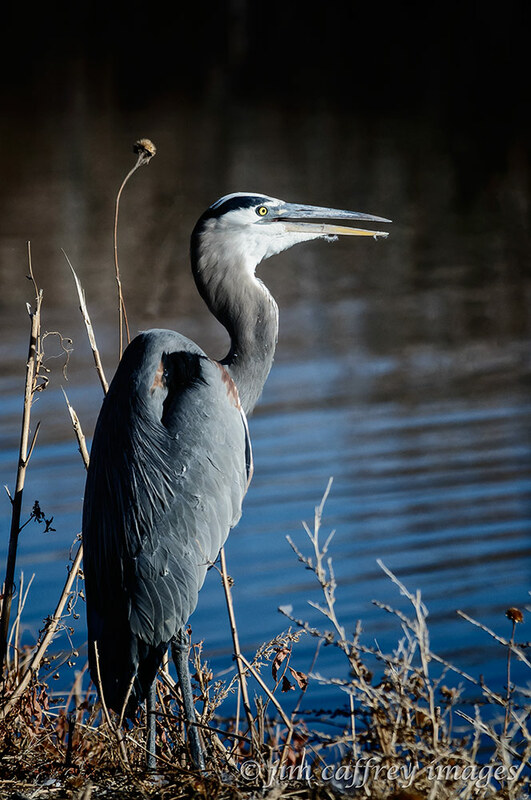 It was shortly after this that Robin spotted this Great Blue Heron in the ditch on the west side of the road. We stopped and spent about twenty minutes photographing him. He just stayed where he was, going about his business while keeping one eye on us. 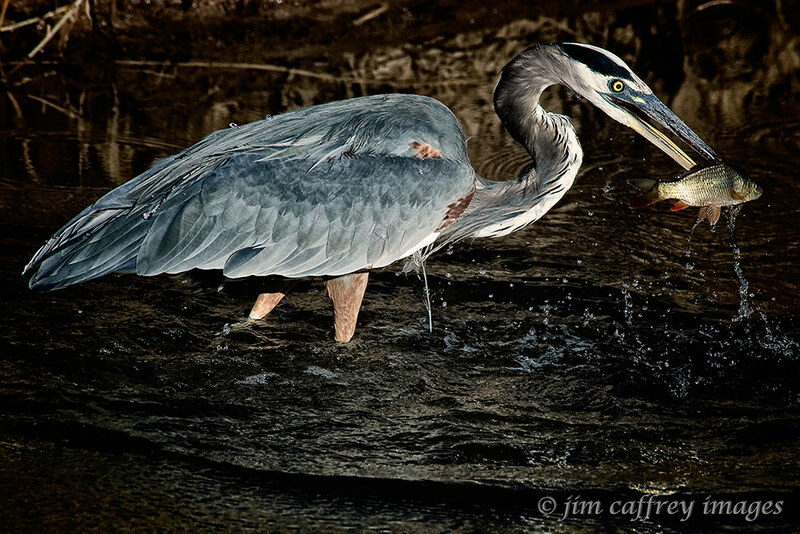 He finally spread his wings and flew off, and we packed up our gear and drove off, but we didn’t go far. About two hundred yards down the road, we came across hundreds of geese. 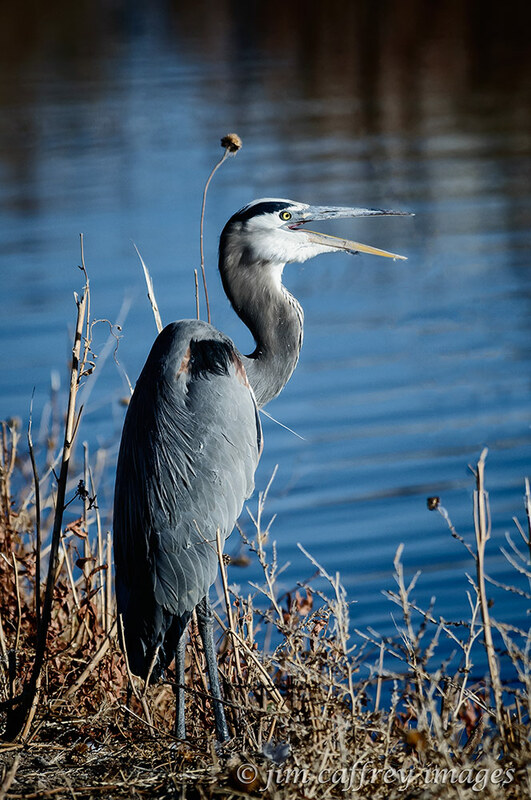 They were in the marsh, and they would fly across the road to the field on the opposite side to eat, and then fly back across the road to the marsh. We spent quite a while watching them. Robin got the best photo. 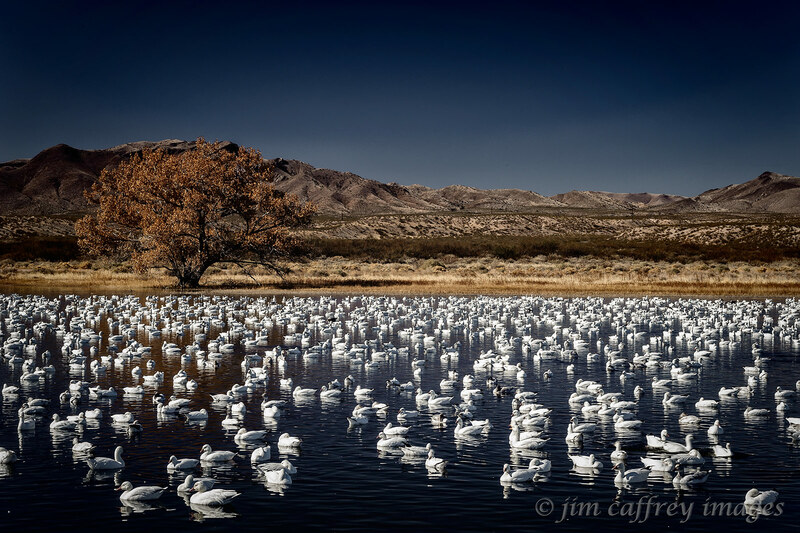 The four geese on the left are Snow Geese, and the highest one is a Ross’s Goose. 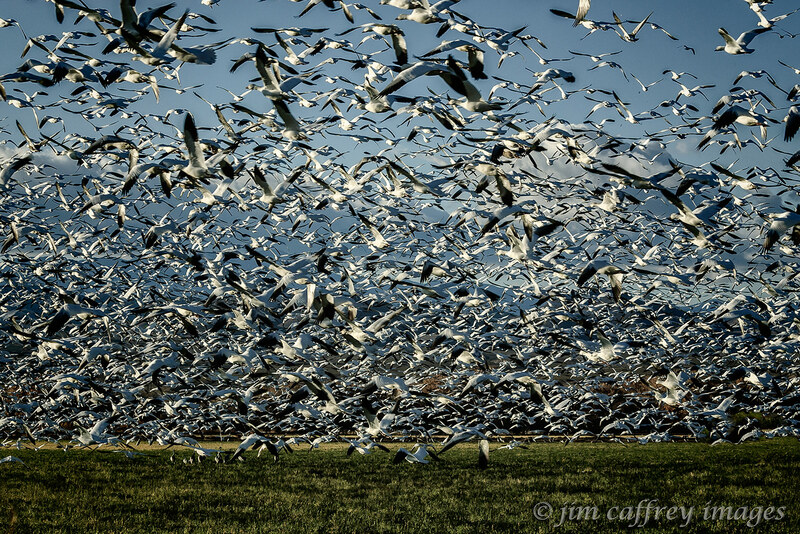 Collectively they are referred to as Light Geese. 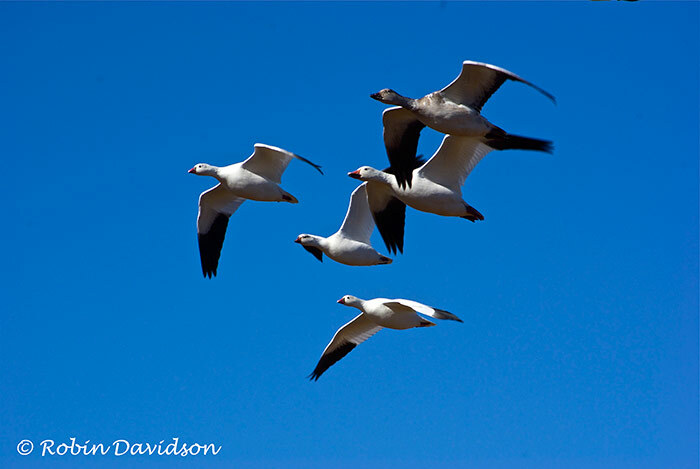 These five were flying to the field from the marsh. We continued around the marsh loop, and on to the farm loop. 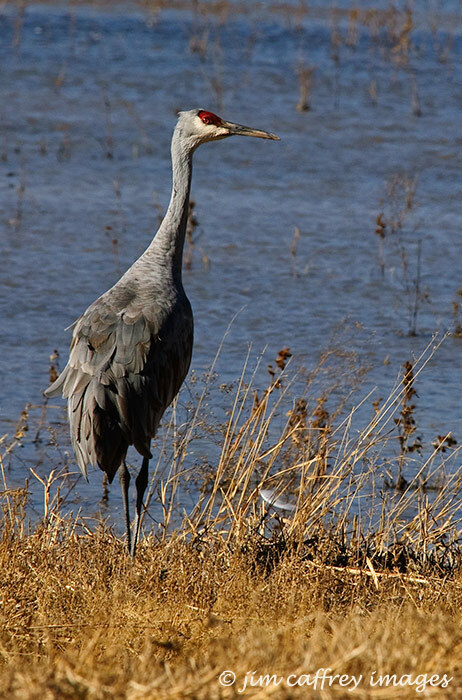 We had just passed the Coyote Deck when we spotted several cranes flying low. We pulled over just as they landed on a berm between us and the flooded field beyond. This is one of them that seemed intent on watching us while the others went about their business. Perhaps he was the designated sentinel for the day. Before we completed the farm loop, we made a stop at the Flight Deck to see if there was any activity there. Not surprisingly, there were no cranes or geese in evidence. 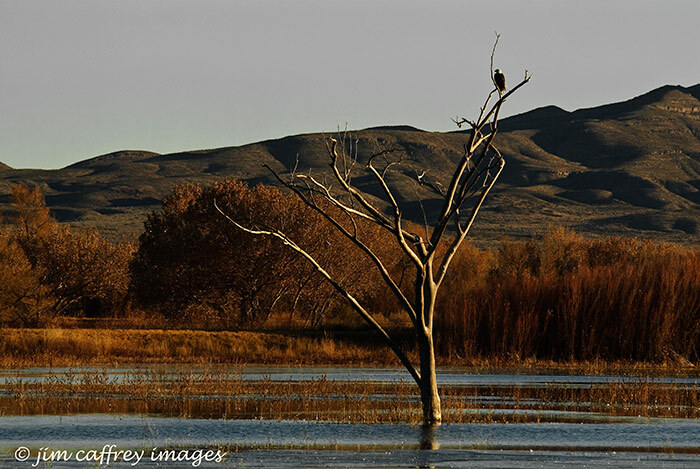 There was, however, a lone bald eagle perched in “the tree” which stands out in the large pond in front of the Flight Deck. 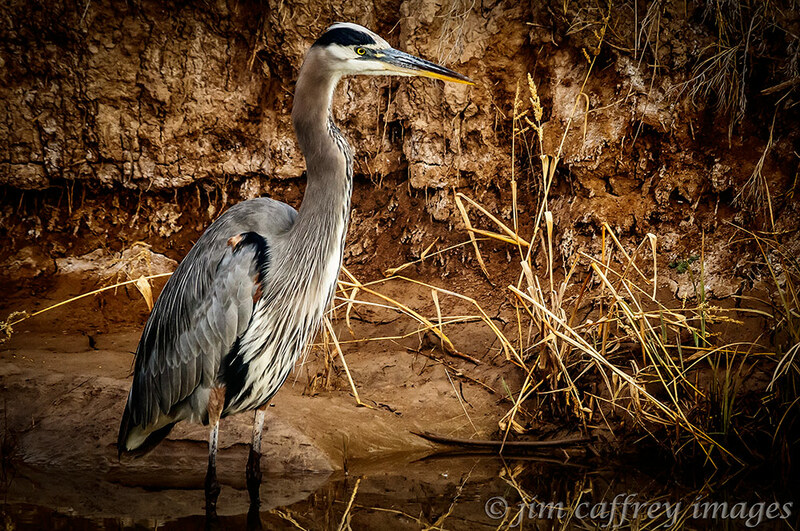 He spent quite a long time surveying his domain before taking wing to patrol the remainder of the refuge. 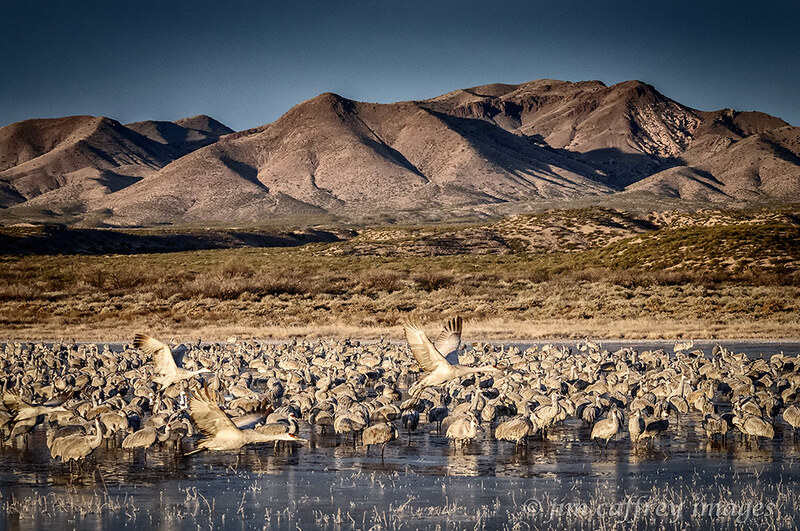 Bosque del Apache is undoubtedly a special place. I never tire of going there. 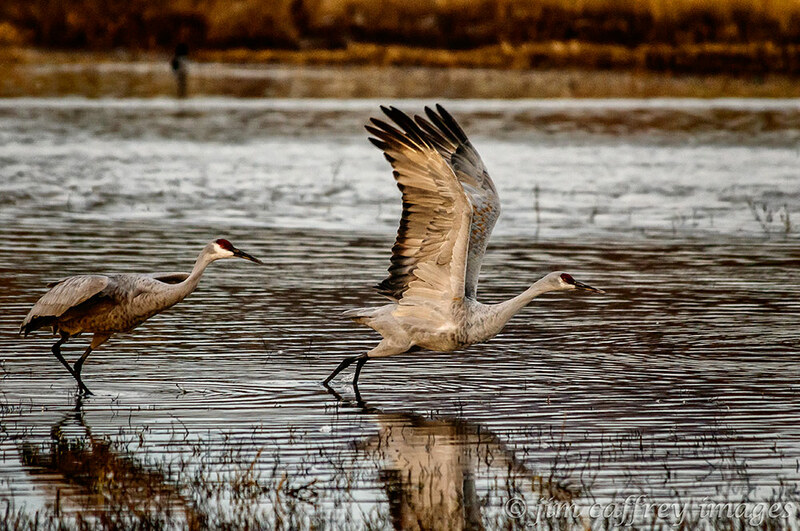 The scenery combined with the thrill of seeing thousands of waterfowl and numerous raptors in one place at one time makes for a memorable trip.